SAVE THOUSANDS! NO Listing Commission Fee, ZERO%! When we assist you with your next home purchase, we work for FREE to Sell your current home. Only being paid from the sellers of your next home, which is also at no cost to you. WE WORK FOR YOU FOR FREE! SAVING OUR CLIENTS THOUSANDS! Sell Your Home For ZERO% above the Buyers Agent Co-op Fee to be in the MLS with Full Service Real Estate Agents. Other companies Listing Fee quotes are on top of the Buyers Agent Co-op Fee. The seller of your replacement home, has also agreed to pay a Buyers Agent Co-op Fee to be in the MLS. So we collect that from them, meaning the seller of your next home would be paying for RealPro to sell your current home. While You SAVE THOUSANDS! Or ONLY 1% to RealPro for Selling your home if you are not buying another Home in Colorado, which still Saves You Thousands! To be in the MLS this is 3.8% TOTAL FEE (which includes the Buyers Agent Co-op Fee of 2.8% ONLY 1% to RealPro). Mention this AD to get this reduced rate. 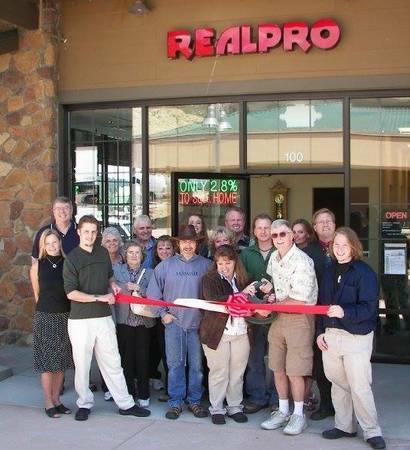 See Our Website For FULL Details: www.RealProteam.com OR Call 303-775-3827 for a FREE, No Obligation Consultation and FREE Information on what the current value of your home is. We're Full Service so you'll be impressed with our extensive Internet marketing program, HD and Drone pictures that are used to best promote your home, with the utmost exposure on hundreds of websites, and more. It's that simple, no hidden strings, extra fees, or upfront costs, NO Commission paid to RealPro when we assist you with your next home purchase. And we have over a 16 year proven track record! We work in: Denver, Parker, Castle Rock, Highlands Ranch, Castle Pines, Littleton, Centennial, Greenwood Village, Lone Tree, Lakewood, Roxborough, Sedalia, Thornton, Boulder, Golden, Evergreen, Conifer, Pine, Bailey, Cherry Creek, Wheat Ridge, Arvada, Englewood, Edgewater, Franktown, Larkspur, Castle Pines North, Morrison, Aurora, Westminster.